Since launching from Earth in 2011 and entering Jupiter's orbit in 2016, the NASA space probe Juno has revealed astonishing facts about the gas giant. The mission has allowed scientists to see more of Jupiter's atmosphere than ever before, from the ammonia cyclones at its poles to the category-12 hurricane that makes up its red eye. One of the latest images from Juno shows what NASA has dubbed "dramatic atmospheric features" churning in the planet's northern hemisphere. Juno snapped the photo above while performing its 18th close flyby of Jupiter on February 12, 2019. The image depicts the planet's clouds swirling around a jet stream region called Jet N6 as seen from 8000 miles above the clouds. 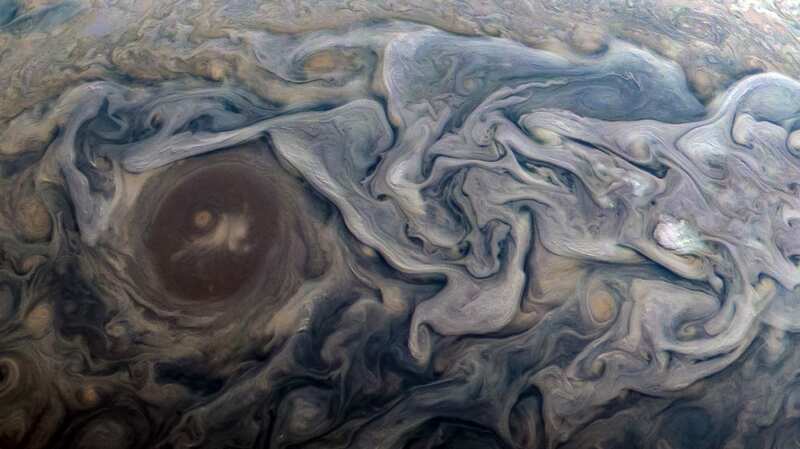 After pulling the raw image from JunoCam's database, a citizen scientist named Kevin M. Gill enhanced the colors and rotated the picture 100 degrees to the right. Like many photographs captured in space, the final image serves as scientific evidence as well as a piece of art. The JunoCam has taken more than 100 photos of Jupiter's surface that are available online. 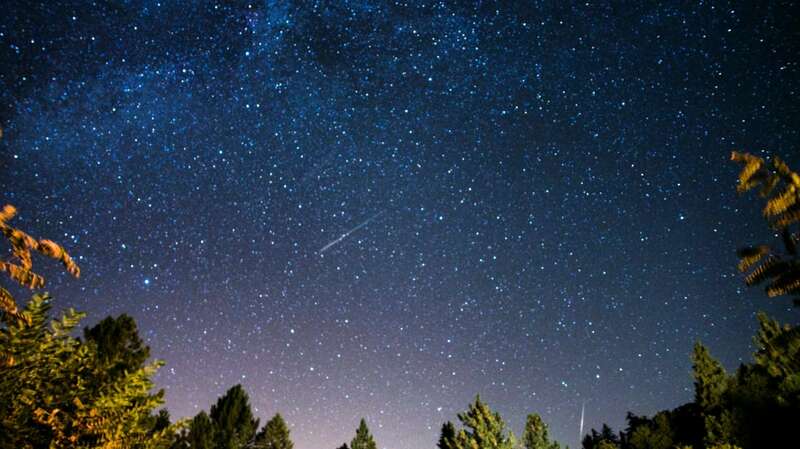 Anyone can download the images from NASA's website and edit them to make some stellar art of their own.